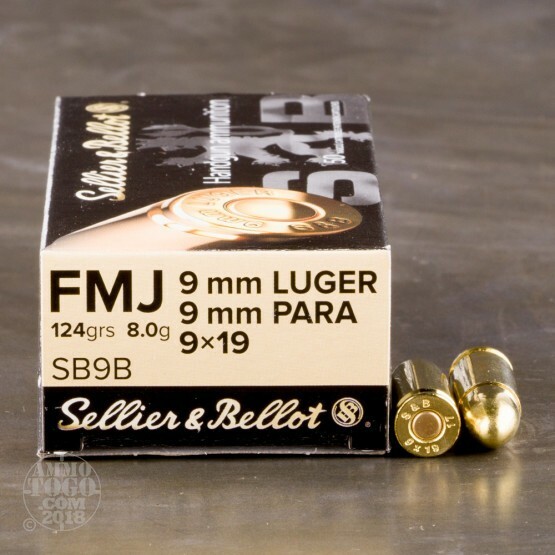 Manufactured by Sellier & Bellot, this 9mm Luger (9x19 Parabellum) ammunition is non-corrosive, boxer primed, and brass cased. Each new production cartridge is topped with a 124 grain full metal jacket (FMJ) projectile. 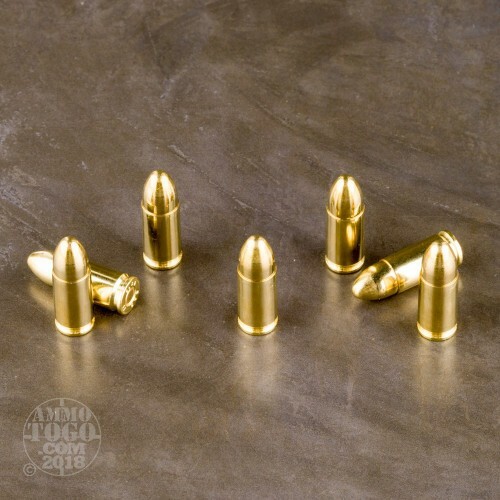 Delivering minimal terminal expansion, these FMJ loads are ideal for target practice, tactical drills, and casual backyard plinking. 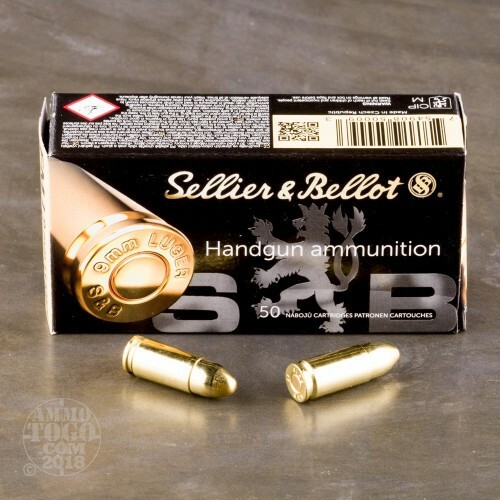 Located in the Czech Republic, Sellier & Bellot uses cutting edge production technology to produce some of the highest quality ammunition on the market today. All Sellier & Bellot ammunition is held to exacting tolerances in diameter and weight, producing consistent accuracy and reliable function in every shot fired. Leaving the muzzle at a velocity of 1181 feet per second, each round produces 384 foot pounds of muzzle energy. Primers are sealed with red lacquer for extra moisture protection, and ammunition is packed in oil resistant boxes. 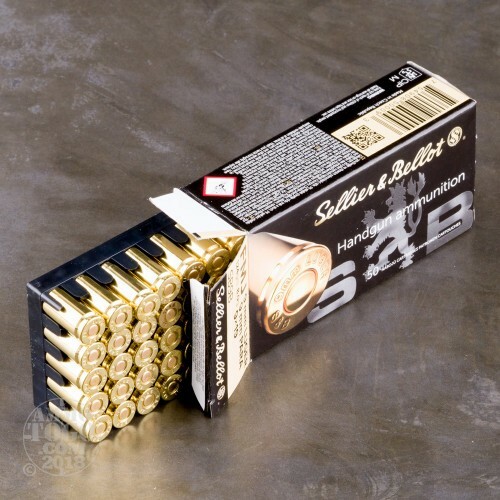 Perfect for long-term storage, this ammunition will not corrode in the packaging like other commercial ammunition. Each box contains 50 rounds.